Bite damage patterns have long been used to estimate shark species and body size, with somewhat limited success. The lack of fit between damage patterns and shark size is partially due to variation in tooth size and shape within an individual. 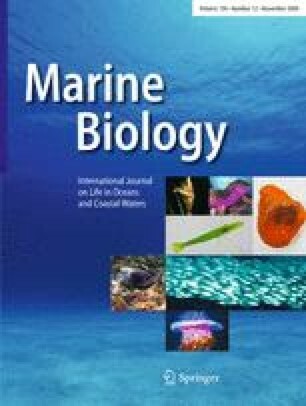 The ability to accurately predict body size from bite patterns is important for better understanding the ecological and behavioral underpinnings of shark bites/attacks on marine organisms, humans, and submarine equipment. To this end, we measured interdental distance (IDD) between the most labial teeth in the first six tooth files on both the upper and lower jaws, as well as the circumference of the portion of each jaw that bears teeth, for prepared jaw sets from fourteen shark species and regressed these data against total length. IDD is allometric as well as an accurate predictor of total length in all species examined, except Carcharhinus acronotus. Tooth-bearing circumference is also allometric and predictive of total length in all species. Though considerable overlap exists in IDD and circumference ranges among species for the total length ranges examined, Carcharodon carcharias and Isurus sp. can be differentiated from Carcharhinus limbatus, Carcharhinus brevipinna, and C. acronotus based on these values alone. When combined with knowledge of species-specific feeding behavior, geographic distribution, and habitat preferences, these simple measures from bite damage patterns allow quick, accurate assessment of shark size and potential species. The online version of this article (doi: https://doi.org/10.1007/s00227-009-1273-3) contains supplementary material, which is available to authorized users. The authors are indebted to G. Hubbell, E. Clarke, J. Castro, and R. Hueter for access to their scientific collections of shark jaws, without which this project would not have been possible. Our sincere thanks to H. Hughes for assisting with preliminary data collection. Two anonymous reviewers contributed substantially to the final format of the manuscript. Funding for this project was provided in part by CAPES fellowship (BEX 1277-02/2) to A.L.F.C. The photograph in Fig. 5 was contributed by R. Honebrink. All procedures described herein comply with current laws of the United States of America.